There have been numerous jokes over the years as to what Snow White's sidekicks should have been named, but the following 10 were actually options. The original fairytale left the dwarves nameless; theater productions over the years have either followed that tradition or made up random names, such as Quee and Glick. But Disney wanted his dwarves' names to reflect their physical and character traits. Just think how different the movie might have been if Snow White's most lovable little buddy had been named Dirty. Hmm. This just has "wrong" written all over it. A drunken dwarf may have sent the wrong message to children. You have to agree that with dwarves named Chesty, Tipsy, Titsy, Dirty and Sleazy, this animated children's movie would have sounded a lot more … adult. I laughed out loud to think of the personification of a dwarf named jaunty. "The most loveable and interesting of the dwarf characterisations. He steals and drinks and is very dirty. The other dwarfs have impressed on him that he is a soul beyond redemption. This fact he never questions. He feels powerless against the evil in him and accepts his damnation cheerfully. He is the perpetual fall guy for the others. He is blamed and punished for everything that goes wrong and, even when punished for somebody else's misdeed, he takes his medicine with a cheerful 'I deserve it.'" Definitely some questionable choices there. 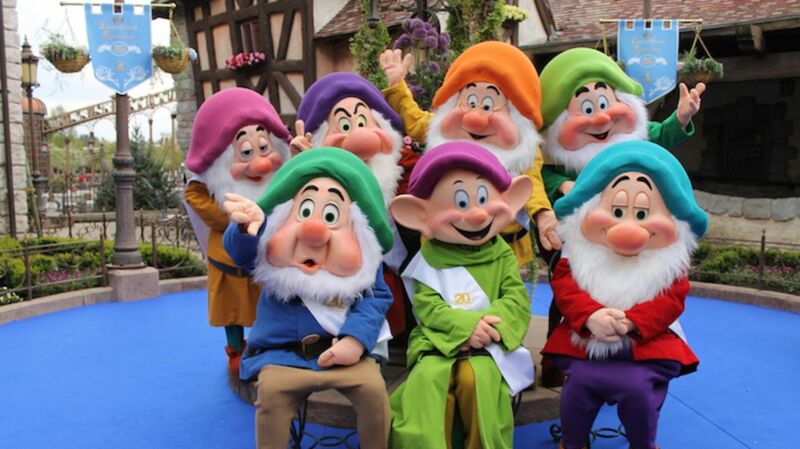 In the end, I think I'm glad Disney stuck with Happy, Sleepy, Dopey, Doc, Grumpy and Bashful. Can you think of any particularly awful names for Snow White's cohorts? You can't do much worse than some of these! This piece originally ran in 2009.